When the Polaris program was first conceived, the technology to make it all work did not exist. Neither did the submarine platforms that would need to carry the new weapons. In fact, the George Washington was a strange creature that evolved from the world of Fast Attacks that in and of themselves were revolutionary. 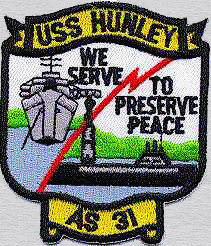 Gone were the days of modifying World War 2 submarines to have a nuclear reactor. This class of Fast Attacks included the sleek rounded hulls that enabled them to dive deeper and faster than their older cousins. 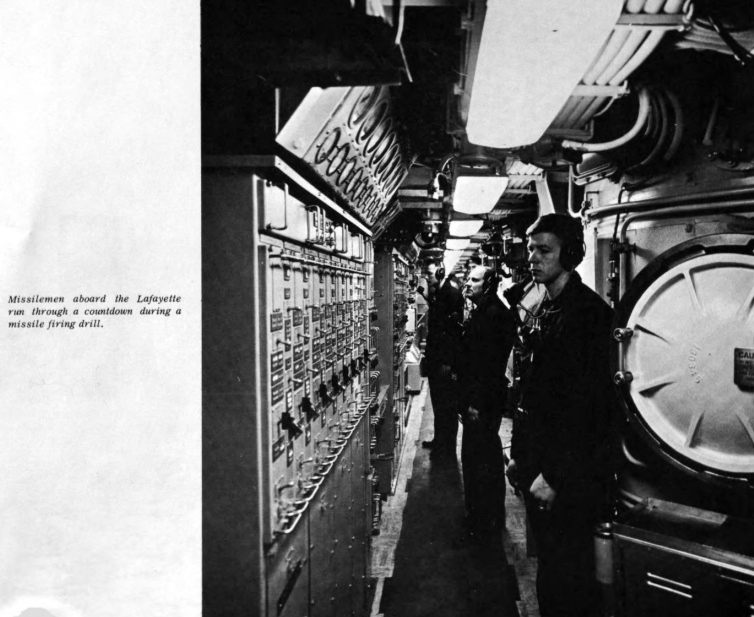 Not only that, but the presence of a reactor ensured the true conversion to a submarine capable of operating of operating under the surface for months at a time. But the early boats were filled with machinery and equipment that had been shoved into every available inch of space. Habitability was much improved over the diesel boats that fought in the war, but for extended deployments, crew morale was becoming an issue. 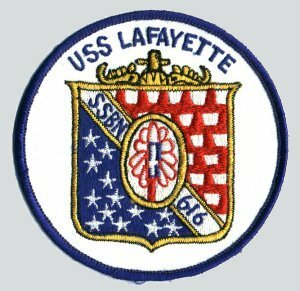 USS Lafayette (SSBN-616), the lead ship of her class of ballistic missile submarine, was the third ship of the United States Navy to be named to honor Gilbert du Motier, Marquis de Lafayette, a French military hero who fought alongside and significantly aided the Continental Army during the American Revolutionary War. NAMED IN HONOR of the best foreign friend the United States ever had, Marie Joseph Paul Yves Roch Gilbert du Motier, Marquis de Lafayette (1757—1834). Scion of ancient and illustrious French families, he was born in the Chateau de Chavaniac in Auvergne, France, and educated at the College du Plessis in Paris, entering the King’s Musketeers at the age of 14. He was 18 and by now a captain when he heard of the revolt of the American Colonies against Britain and read the Declaration of Independence. “At the ﬁrst news of this quarrel, ”he later wrote in his memoirs, “my heart was enrolled in it.” He instantly decided to make America’s cause his own. 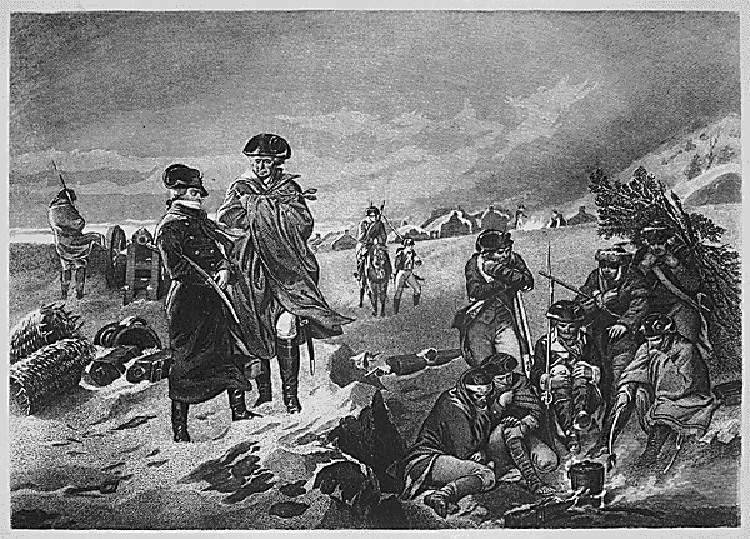 In part, he was motivated by an ardent desire to hit back at England for the humiliation She had inﬂicted on France in the Seven Years’ War, in which his father had lost his life (at the Battle of Minden, 1759). In part, his generous youthful spirit was stirred at seeing the American Colonies put into effect the ideas of the Enlightenment. Lafayette was voted honorary citizenship by the legislatures of Virginia and Maryland. When the two states became part of the United States his citizenship was automatic. 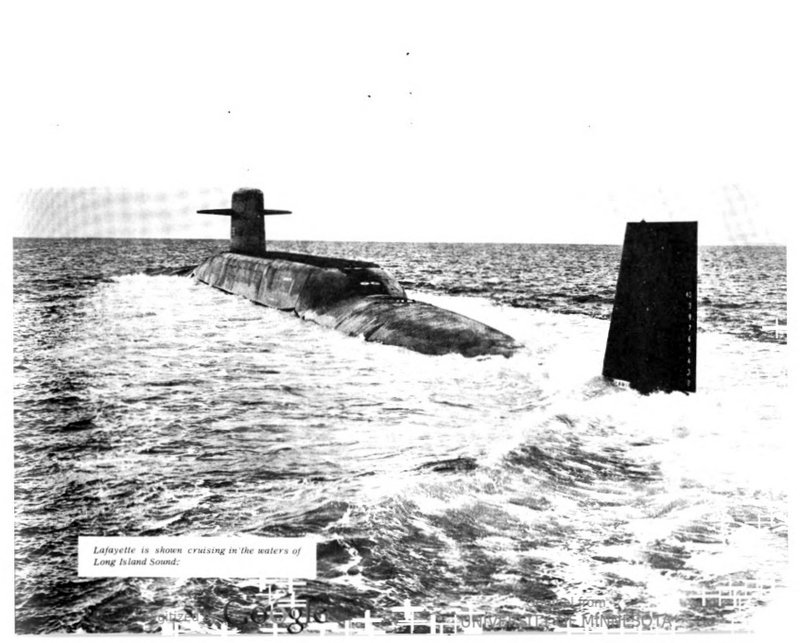 The USS Lafayette was the first ship of the third-generation Polaris submarines and embodies more sophisticated systems than its predecessors. She is of the Fleet Ballistic Missile type, is 425 feet long, displaces 7,000 tons, and is capable of firing the 2,500 mile A3 Polaris missile. She is one of the fastest reacting and most comfortable warships afloat. The Lafayette will be the first Polaris submarine equipped with the TRANSIT navigation system. Equipment aboard the ship will enable it to receive data from orbiting TRANSIT satellites, giving it a position fix once every four hours. Submariners are among the Navy’s best fed, but pity the cook. During the course of an average Polaris patrol, the Lafayette’s cooks will prepare about 23,500 meals in a galley 9 x 15 feet. By contrast, a housewife cooks 5,475 meals per year for a family of five. 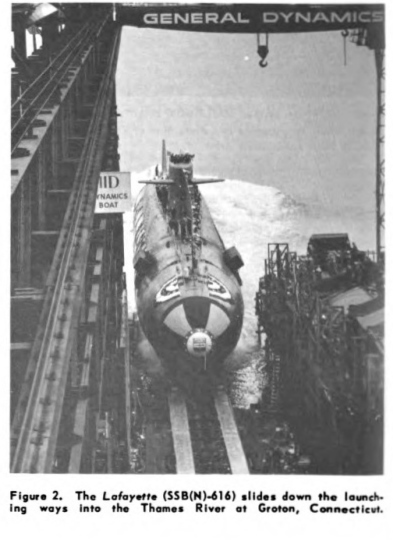 The Navy’s fleet ballistic-missile submarine Lafayette (SSB(N)-616) was launched on 8 May 1962, at the General Dynamics Corporation’s Electric Boat Division, Groton, Connecticut. 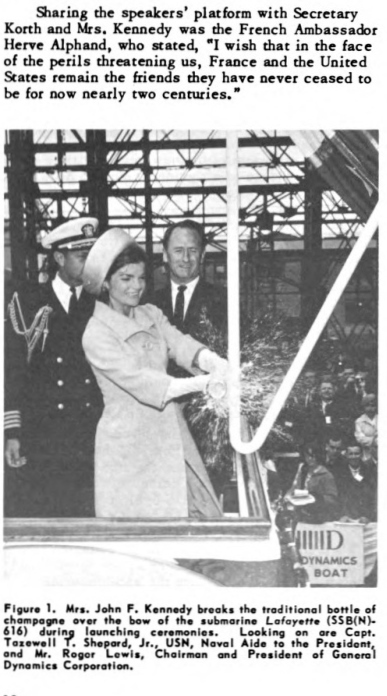 Mrs. John F. Kennedy, wife of the President, highlighted the ceremonies when she christened the 425-foot Lafayette, in both English and French. 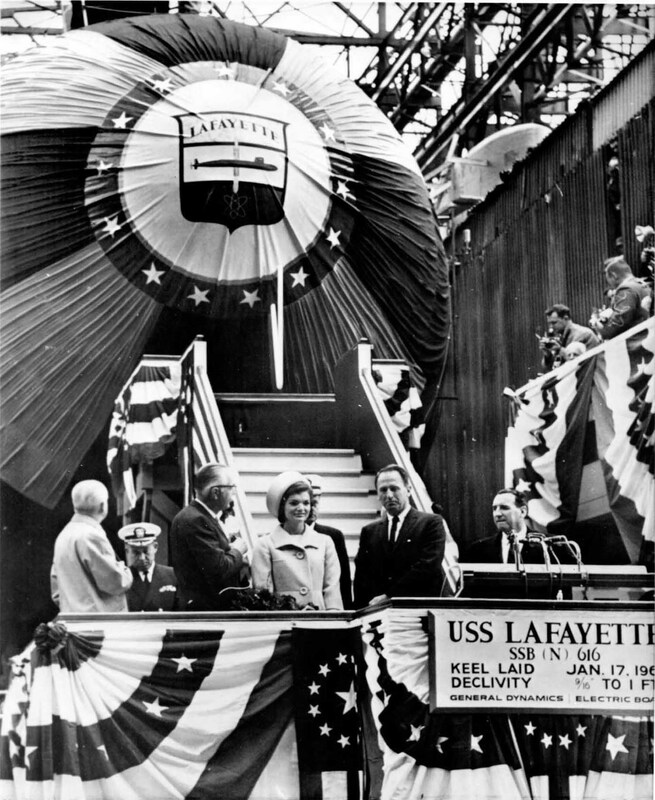 When the keel of Lafayette was laid in January 1961, Ambassador Alphand welded his initials into the keel plate as a symbol of the historic friendship of the peoples of France and the United States. Named for the French hero of the American Revolution, Lafayette is the lead ship of a new class of POLARIS firing submarines—a class scheduled to become “standard” of its type. The 7,000-ton submarine is larger and heavier than the earlier fleet ballistic submarines. She has two additional compartments not built into the George Washington and Ethan Allen classes. 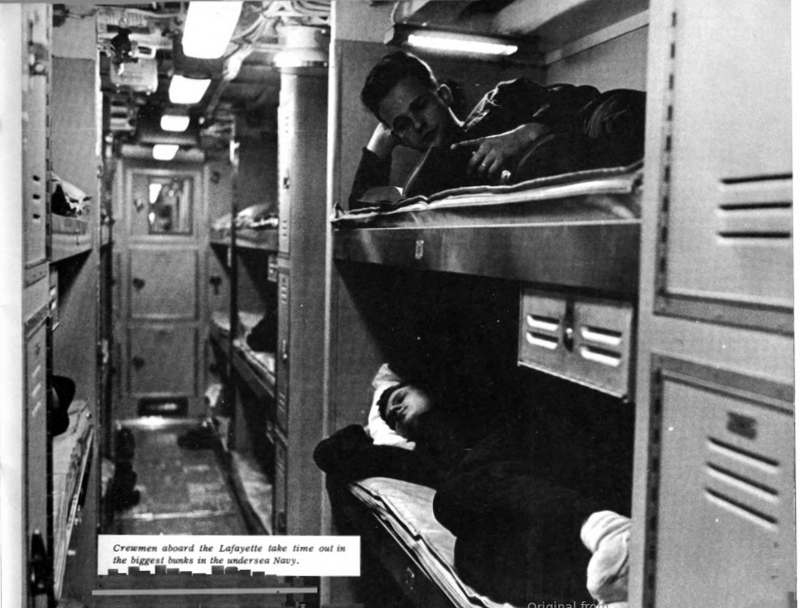 Designed to keep crew morale at peak during extended patrols, the new compartments consist of a three-man gym and combination crew’s lounge. 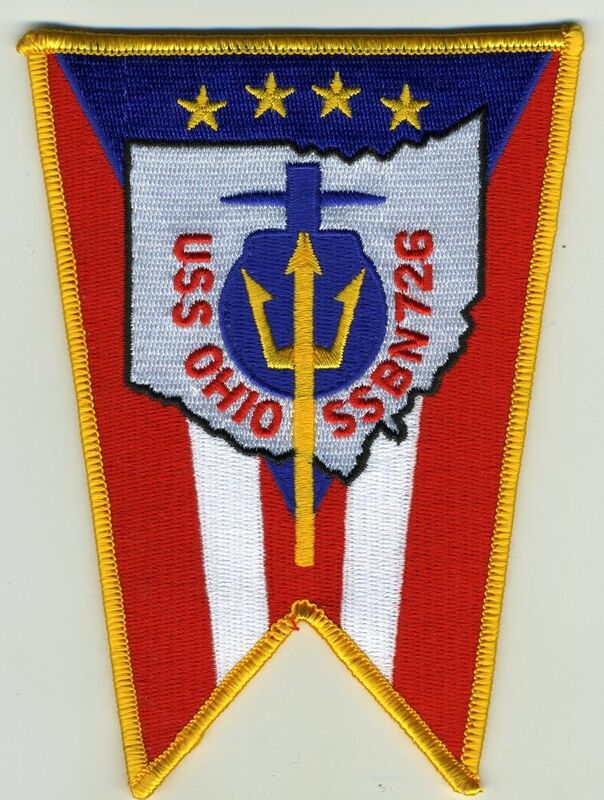 The prospective commanding officers of the submarine’s “Gold” and “Blue” crews are, Cdr. Lando W. Zech, Jr., USN, and Cdr. Patrick J. Hannifin, USN, respectively. The two crews will alternate taking the ship to sea so that it will be on station almost constantly. The First Lady received as a sponsor’s gift two beautifully framed antique engravings—one of George Washington, the other of Lafayette. 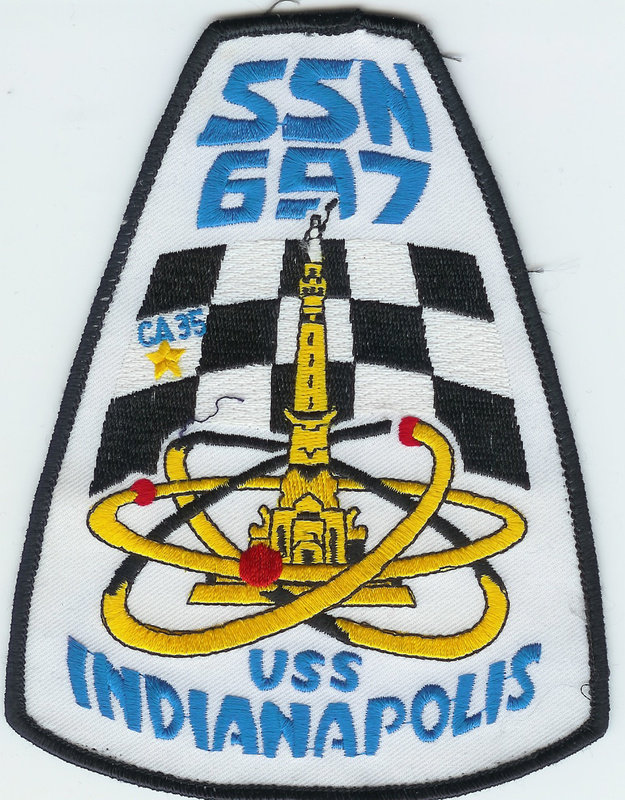 USS LAFAYETTE was the lead ship of the Navy’s LAFAYETTE – class of nuclear fleet ballistic missile submarines and the second ship in the Navy to bear the name. Deactivated while still in commission on March 1, 1991, LAFAYETTE was decommissioned on August 12, 1991, and stricken from the Naval list on February 25, 1992. She began the Navy’s Nuclear Powered Ship and Submarine Recycling Program at Bremerton, Washington the day she was deactivated and finished it the day she was stricken. On the latter date, the ship no longer existed as an entity and was classed as scrapped. 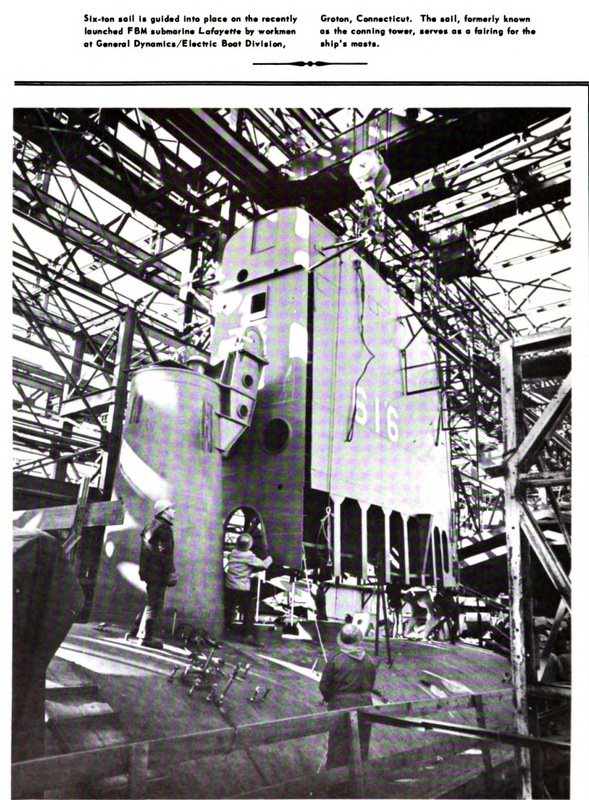 Builder: Electric Boat Division, General Dynamics Corp., Groton, CT. Prior to deactivation, she completed 76 Patrols. Fitting number for a ship named a Revolutionary War Hero.